UPDATED: Tue., April 9, 2019, 11:18 a.m. In an effort to encourage walleye fishing, the Idaho Department of Fish and Game placed miscroscopic tags in 50 walleye throughout Lake Pend Oreille. Each tagged fish is worth $1,000 if caught and turned in. At the same time, every time an angler turns in a walleye head they are entered into a lottery. Each month 10 $100 awards will be distributed. Anglers caught and turned in 26 walleye in March. – The Idaho Department of Fish and Game will conduct tributary population surveys and work on improving tributary habitat for bull trout. – IDFG will start a small mouth bass pilot study with the goal of designing a lakewide survey methodology. The Lake Pend Oreille fishery continues to improve with kokanee, rainbow and bull trout populations holding steady. The positive progress remains threatened, however, by two aquatic species: walleye and mysid shrimp. Both are voracious eaters and can out compete other, more docile species. While the Idaho Department of Fish and Game has a plan for dealing with walleye, mysid shrimp remain a mystery. 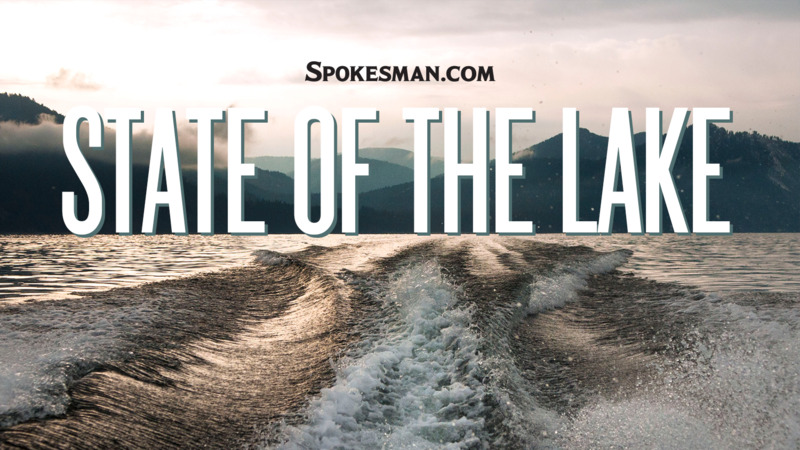 Corsi spoke at the annual State of the Lake address in Ponderay, Idaho, on Thursday. The shrimp were introduced to the lake in the late 1960s as a way of increasing the size of kokanee. By the mid-1970s, the tiny shrimp spread through the lake were outcompeting kokanee for zooplankton, the staple food item for both the shrimp and the kokanee. In 2012, the shrimp population collapsed. Researchers don’t know why. At the same time, the kokanee population started to rebound as suppression of lake trout gave the fish some breathing room. The mysid shrimp example illustrates the complexity of the Lake Pend Oreille system, Corsi told the more than 120 anglers and members of the public that attended the meeting. “We have to think about all these mouths we have to feed out there,” he said. One of the hungriest and most aggressive mouths in the lake is that of walleye. Since 2011, the non-native predatory fish’s population has roughly doubled every three years. “If that type of trajectory continues, that’s concerning,” said Andy Dux, IDFG’s regional fisheries manager in Coeur d’Alene. According to diet studies walleye regularly eat kokanee. In response to the increasing population, and its penchant for kokanee, IDFG conducted a three-week gillnet campaign in 2018. It caught and killed more than 1,200 walleye and donated $3,580 pounds of meat to local food banks. At the same time, anglers took about 16 percent of the lake’s walleye population. This is not enough to control the population, Dux said. IDFG will again deploy gillnets starting April 15 and running through May 3. When the gillnet program was announced last year, Dux said there was more resistance and concern, especially from bass anglers worried about bycatch. However, after three weeks of netting in 2018, no bass were killed in the nets. Dux and Corsi reassured anglers Thursday that they are not trying to destroy the walleye fishery completely, only hold it in check. “If you like walleye fishing, we have a walleye fishery,” Dux said. The kokanee population continued to recover. Since 2006, IDFG has aggressively controlled the lake trout population, another predatory fish that pushed the kokanee fishery to the edge of collapse. While the overall size of kokanee in the lake has dropped, Dux and Corsi said this is likely indicative of a recovered population. “The kokanee population is trying to reset itself,” Corsi said. Lake trout numbers continued to stay steady, with annual suppression maintenance keeping them below 20,000 adults lakewide. Since supression started in 2006, IDFG has reduced the lake trout population by 70 percent. The goal is to reduce the population by 90 percent, Dux said. Meanwhile, the federally endangered bull trout population did well. Dux hopes anglers will be able to harvest bull trout if IDFG can show the U.S. Fish and Wildlife Service that the species is sufficiently recovered. In a truly bright spot, the lake’s famed rainbow trout fishery continued to grow in individual fish size. In 2018, the average length of a 6-year-old fish was a little more than 28 inches, while a 5-year-old fish was about 25 inches. Corrections: The rainbow and bull trout population is stable in Lake Pend Oreille, not growing. Additionally, mysid shrimp were introduced in the the 1960s to feed kokanee. The story has been updated. Published: April 7, 2019, 6 a.m. Updated: April 9, 2019, 11:18 a.m.